Wade Glover is a senior. He is serving as the Executive Producer for Wingspan TV in his fourth year of the Wingspan program. Wade is also the Student Body President and the President of Pulse, the campus climate committee. He is an active member in the Youth programs at Custer Road United Methodist Church and goes on at least one mission trip every summer. Wade is a two time recipient of the President’s Volunteer Service Award (2016, 2017) and proudly volunteers with many local organizations. 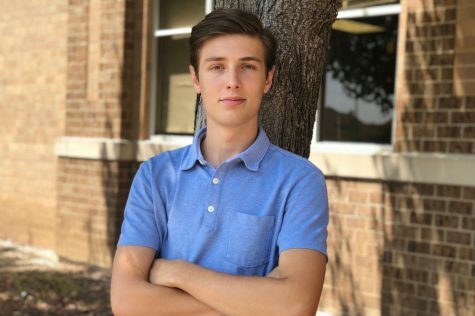 He is the former chairman of the Frisco chapter of Young Men’s Service League where he encouraged teenage boys and their moms to give back to the community together. Wade is looking to study broadcast journalism with an emphasis on political science following his time at Liberty.